I cannot wait to go back to this piece of island next year! My foot is still a little sore and I have a big bruise on my upper right thigh, but it doesn't make me less eager to go back to Baler just because of how much my friends and I enjoyed our recent trip there last Oct 5-6. 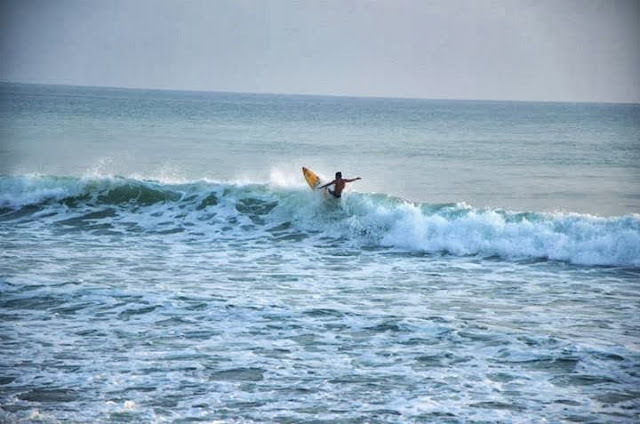 I think I have dropped enough hints on how much surfing has been on my bucket list in my previous entries, so finally getting down to planning and organizing the trip was a no-brainer for me. This trip will happen this year, by hook or by crook! Lol! 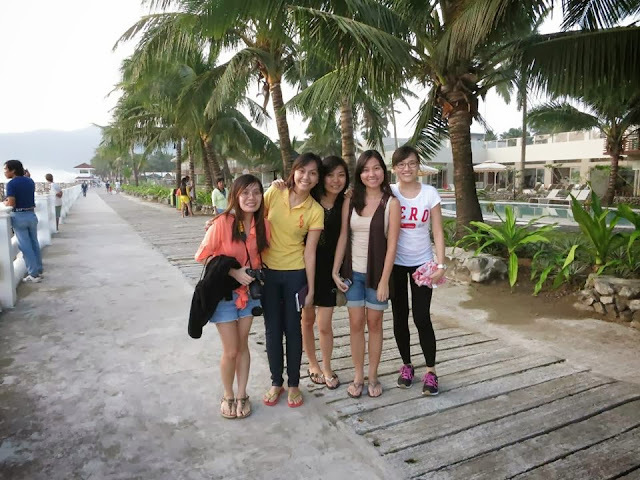 Baler is a 5-hour land travel from Manila and we left a little past midnight on Saturday so we can make it to the island just before sunrise. 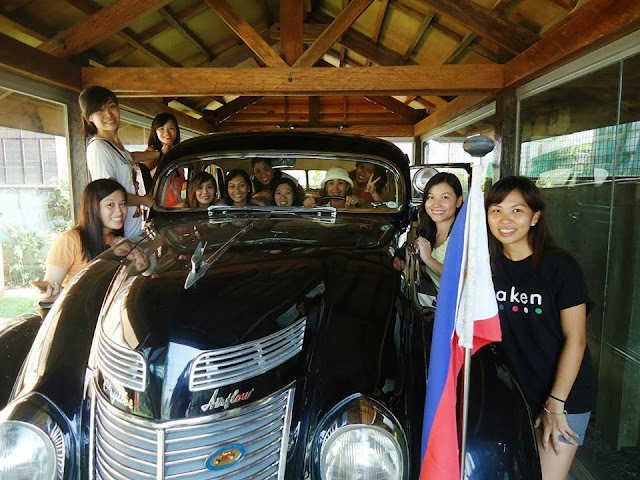 Most of us came straight from work, so we also used the travel time to catch up on a few zzzzzs to make sure we got the energy we need when we get arrive in Baler. Sobrang wala akong pakundangan na natulog, that I banged my head really loudly once against the window, and I just went back to sleep seconds after. haha! I know very little of Baler, all I know are these 3 facts (1) that it's a surfing spot (2) Jericho Rosales can be spotted there from time to time (showbizzz!) 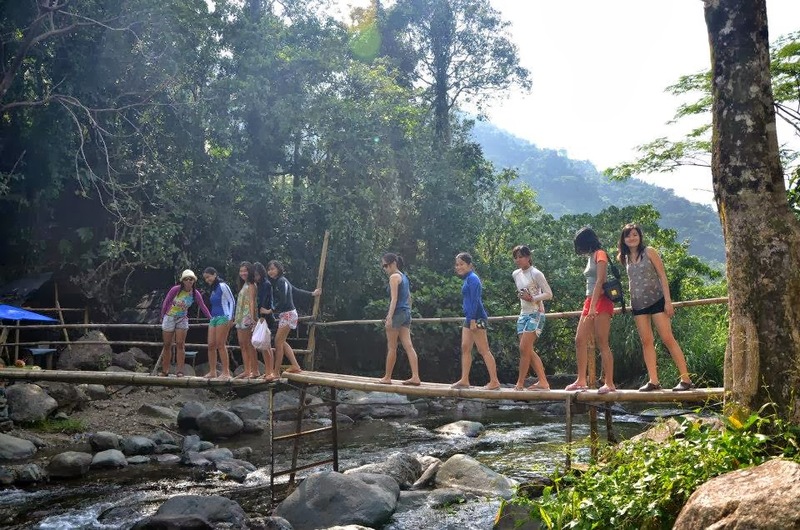 (3) that you would have to travel through rough roads to get to it. 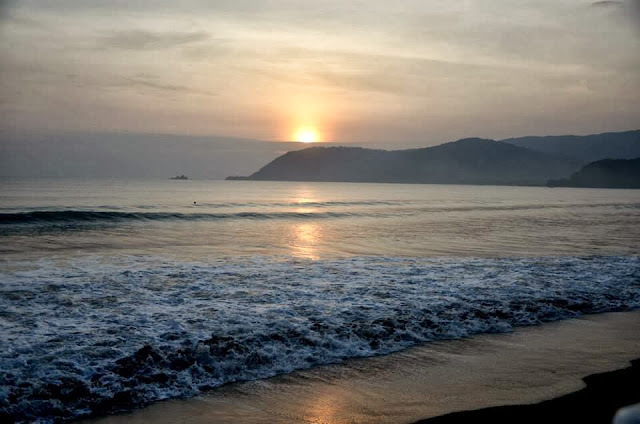 So when we got there and I saw the long white bridge running through the length of the shore, heard the waves crashing and the surfboards standing just across the restaurant at Bay's Inn, I cannot help but wipe the sleep from my eyes and be jolted with a wave of excitement. 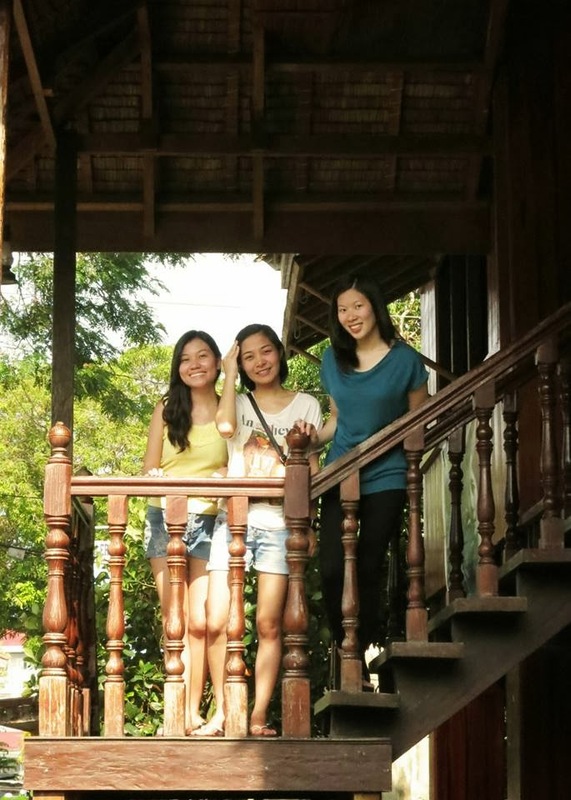 We stayed at Mahdox Backdoor, which is one of the small and cozy inns in the island -- where coincidentally was where Luke Landrigan was staying at! Waaaaaah! Fangirl mode! While others were silently wishing for Jericho, I was hoping for this surfer dude named Luke. Eh saktoooo, andun pala sha! So we got to take a few photos with him :) Masayang advanced birthday gift sakin ni Lord! After snapping a few photos with the sunrise, the kuya told us about getting breakfast at one of the rolling stores nearby. Rolling stores? Hmm.. sounds interesting. When we got there, the rolling stores were apparently a line of carinderias that serve hot rice and Pinoy viands like dinuguan, nilagang baka, sinigang na isda, adobo, bicol express and the likes. For P55-P65 each, you can have your egg, rice and longganisa/tocino/tapa/adobo fix. After breakfast, we settled at Mahdox and changed to our surfing gears to finally meet the waves. 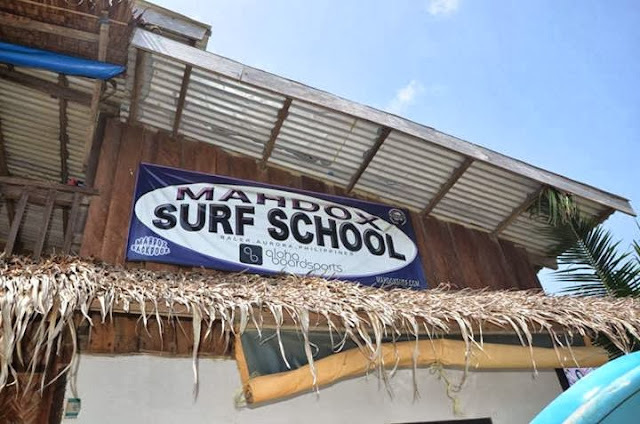 I initially thought that Baler was more roughing it out with the locals--that you just call one of the surfing locals and ask them to teach you the how-tos of this water sport -- but the island was actually more posh and established as a surfing spot because they have their own surfing school: Mahdox Surf School. We were super blessed with the weather that day, it was sunshine-y and the waves were more forgiving for beginners like us! After teaching us the basics on the shore, we were assigned one instructor each who would help us push the surfboards and catch the waves. It was kind of scary to literally meet where the waves are, because sometimes they end up being gigantic that I thought I was going to be toppled over. 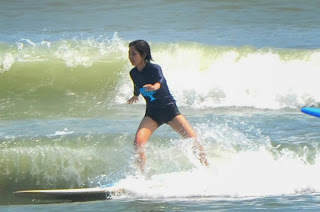 But the one surfing philosophy turned out to be true: when a wave comes at you, you either ride it out or be wiped out. There are no two ways to it. And eventually, of course with the help of kuya pushing the surfboard ever so loyally while I was on top of it, there was a rhythm to the waves which makes riding with it relaxing. Now comes the hard part, balancing yourself all the way to the shore. There were just 2 instructions to live by: "Ready" and "Tayo" (stand up). When the instructor says ready, I was supposed to bend my left ankle sideways across the tip of the board, then position my arms aligned with my shoulders -- ready to push against the board and pull up my weight. Then he will push the surfboard faster then once he says "tayo", I would have to pull up my entire body, stand up, bend my legs and balance. First try, toppled over. Second try, drank water. Third try, toppled over then drank more water. Lol. I think it was about my fourth try when I managed to balance myself, and that lasted for just 3 seconds then I am back to the water. Gosh, the water loved me so much, it cannot let me go. Haha! But finally I was able to ride it all the way to the shore! Whoohoooo! ... and it would have been the triumphant moment I have long pictured in my head, except that when I jumped off the board and into the water when I was already a few inches away from the shore, I jumped with my WHOLE body! Which you weren't supposed to do, because then as what happened to me, my toes curled up with much force against the sand followed by my knees. Super feel na feel ko kasi ang pagtalon eh. :P So seconds later, I was nursing a bruised foot and right knee as I sat myself on the shore for a few minutes to rest. But I went back to the water and went surfing again... until it was my left knee that was rammed against the sand. But in my defense, all of us were bruised and wounded after! :P So it IS normal. But as for that much-acclaimed jump that I did, yes, only a few of us could do that. Thankyouverymuch. So I would like to take this time to commend the graceful poses of some of my friends while on the water, because there was none of those to speak of as far as I was concerned. 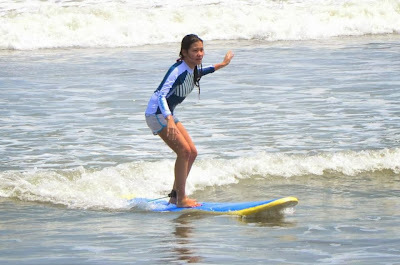 It was an hour's worth of surfing but it was an exhilarating hour! 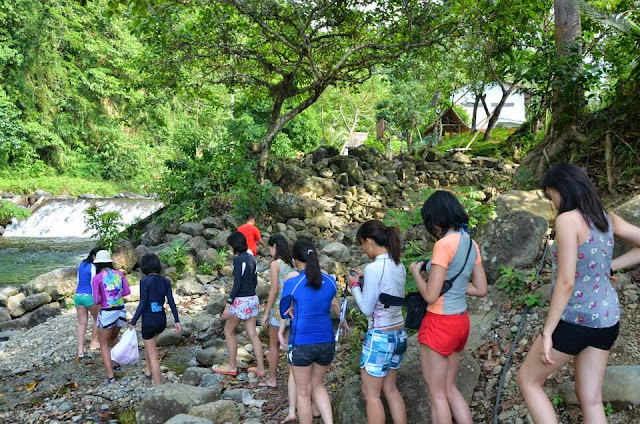 Nonetheless, it is a water activity that I would love to do again. One of my friends asked which one was harder: wakeboarding or surfing. I tried wakeboarding twice and I have to say that I found it tougher to balance myself on a wakeboard than on a surfboard. BUT this just had to be said: surfing is more torturous to the body. 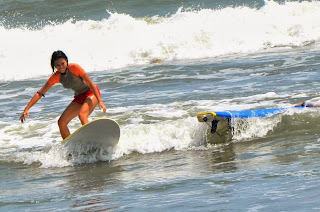 When I went wakeboarding, I just woke up with a sore back, arms and legs, but there were no obvious traces like bruises, nicks, and sores – like what I have now due to surfing. But still, I like surfing better, prolly because you're riding it out on the beach and you have more control since you don't have to be holding onto a rope all the way through. Just choose your own poison. That’s all. Okay, another thing that I just have to rave about Baler is their falls. 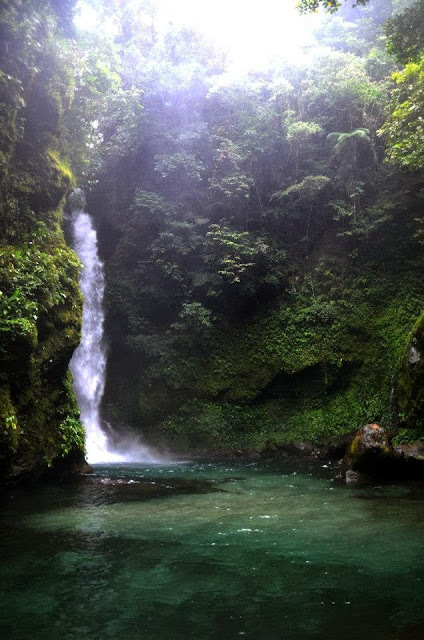 It is honestly that most beautiful falls I have seen in the Philippines. I love falls. So every time an option of including this in our trip's itinerary comes up, I always say yes to the idea. 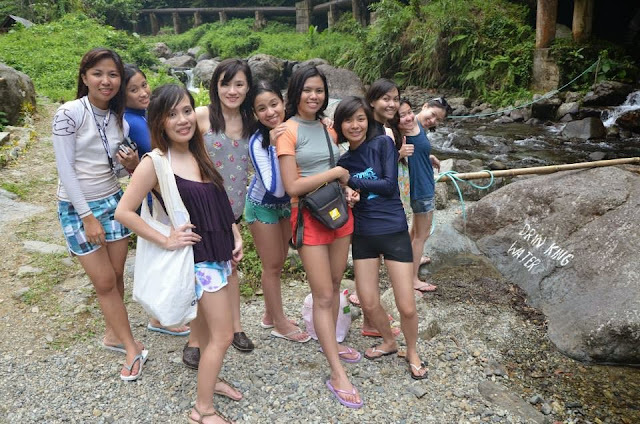 But this one in Baler tops the falls on my local trips. It was a 20-30 minute trek all the way where we had to pass by wooden bridges, rivers and slippery rocks. And look! There's DRIN KING water just for P2 where you get to drink straight from the hose! We tried it and there was no weird taste to it, so good job DRIN KING water. And... ta-daaaaaan! Here is the falls! After the falls, we had an early dinner at Gerry Shan's. 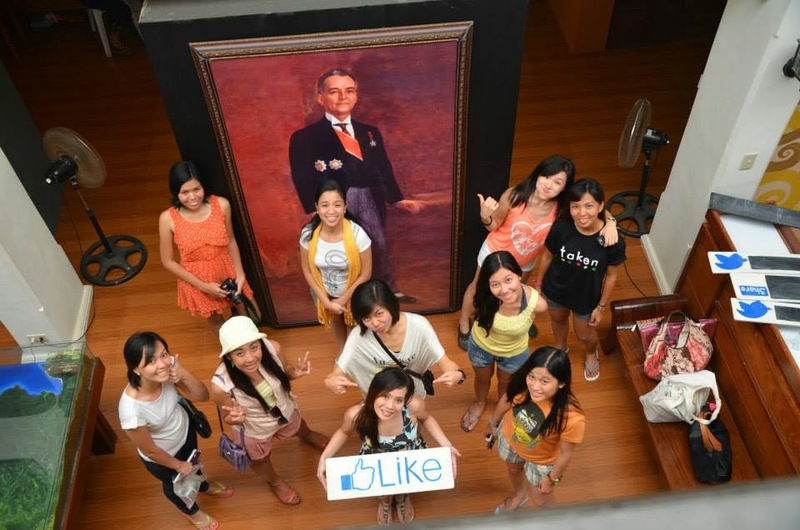 Cess saw this on one of the Baler reviews she stumbled upon. 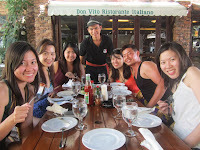 It was just P185 for at least 15 viands, complete with shrimp, lapu-lapu and sisig! 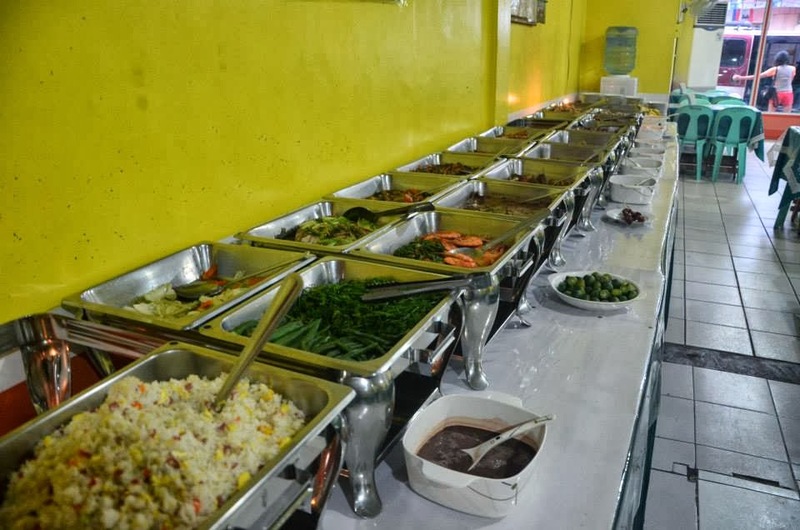 There were dishes of beef, chicken, sinigang, nilaga, squid, etc. And there were even buko salad and sticky rice! How I wish there was a Gerry Shan in Manila. Of course I kept coming back for the shrimp and lapu lapu. After the fun and full day at Baler, we wound down the night by spending it having service and playing Guess-tures… it’s just good to be reminded that as we enjoy the place with each other’s company, we also enjoy the presence of the One who created it. 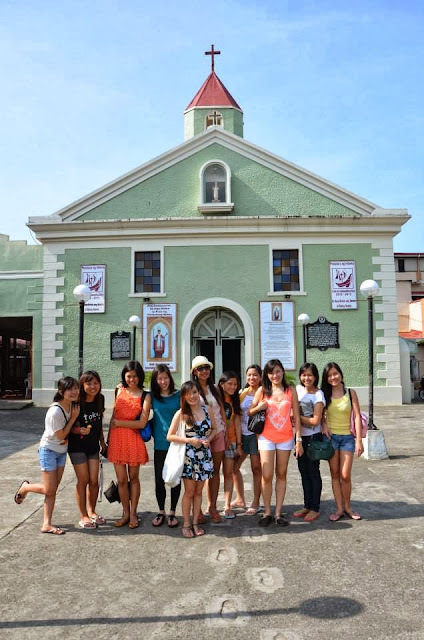 It is great to be in a group with whom you share your passion, not only for traveling, but also on your faith. There’s just a much deeper connection that made it easy for us to share, learn and enjoy the friendship. 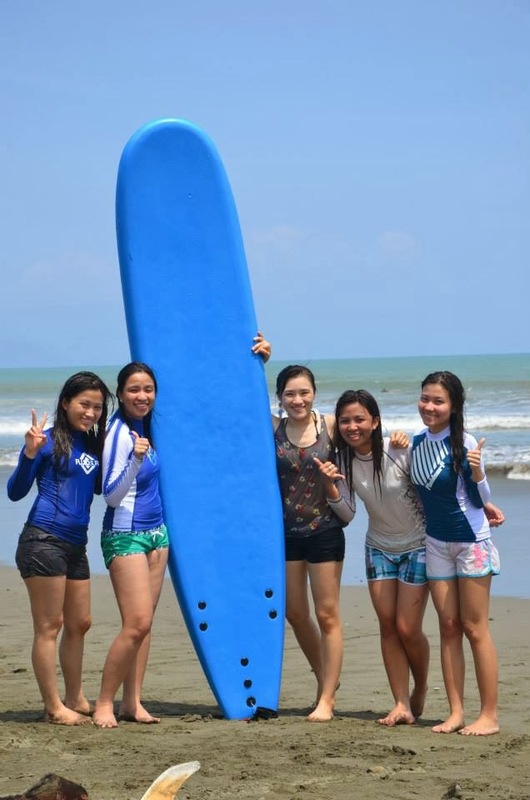 The others were able to surf though and despite the more challenging waves, they really enjoyed themselves! 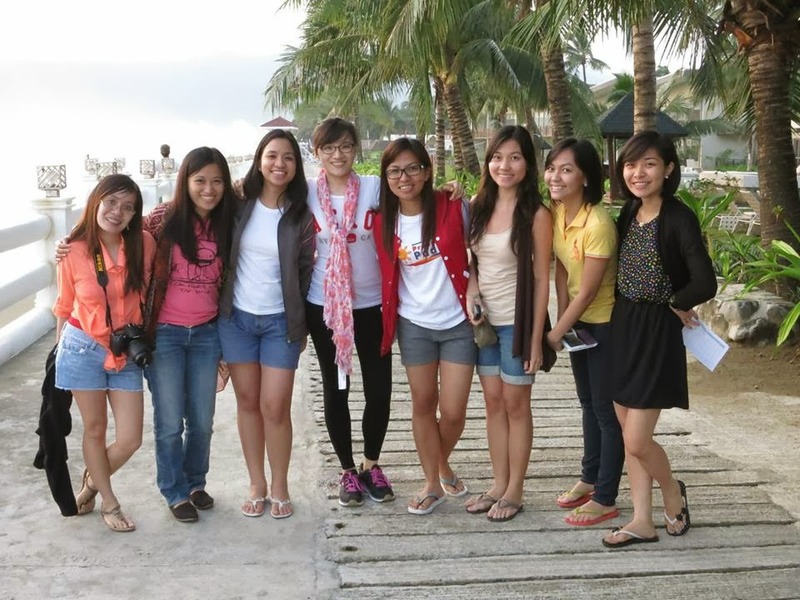 Like my friend Kimmy enjoyed it so much, that even a week after our Baler trip, she still has a hangover from the experience and keeps bringing it up every time we talk! :) Lol! After that, we just cleaned up and had a late lunch at one of the rolling stores before going on the mini tour as the last activity before heading back to Manila. 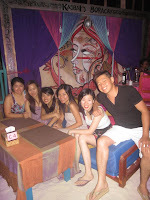 All in all, we just spent around P3000 tops for the entire weekend J What a steal! Baler is such a great find and I will not be surprised if more people start setting up shops and inns there and be a full-blown surfing spot in a few years' time. As for me, I am hoping that there will be more foodie places to try. But please, please, please, preserve its beauty and cleanliness. Bora 1/4: Don Vito Delizioso! Hi Patrick! Thanks! You should! 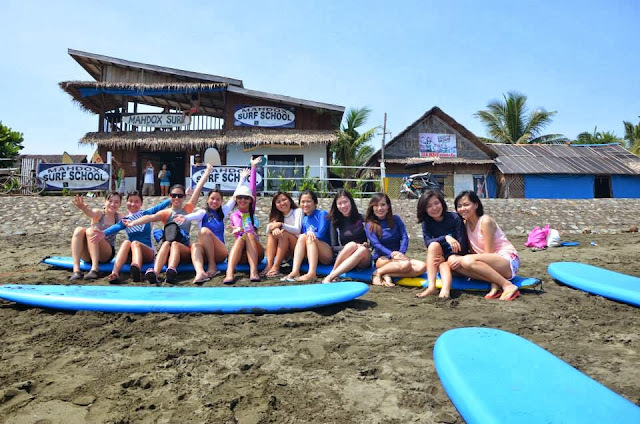 I've only been to Baler and friends say that it has bigger waves than La Union. Although there's an upcoming Soul Surf even at La Union in October so might be worth checking out :) Enjoy your trip!